As you may have already surmised by now, the FAFSA is the gateway to all things good when it comes to making college affordable. The downside is that the FAFSA is feared by many, especially those that have never completed it before. It is this uncomfortable unknown factor that keeps people from giving it a try and finding out what treasures it will unlock to enable them to obtain their educational goals. 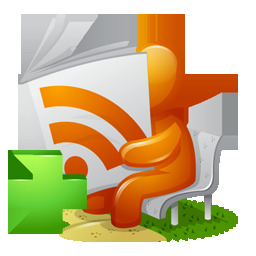 In order to combat the ambiguity associated with the FAFSA, you will find great resources in books, on the web (like CheapScholar.org) and through various other sources. However, nothing compares with direct one-on-one advice and counseling and that is where College Goal Sunday helps to fill a void and provide assistance with completing the FAFSA. 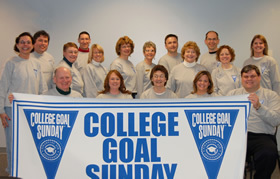 College Goal Sunday is a program that was founded in 2001 in Indiana with support from the Lilly foundation and now has a presence across the nation in 44 states. The main mission for this program is to help college bound students and their families to meet up with various financial aid professionals from their respective states and complete the all so important FAFSA. Given the name of the program, you can probably guess right away which day of the week these helpful sessions are offered. If you would like to learn more about College Goal Sunday you can visit their website here. 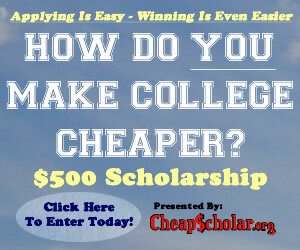 If you are financial aid professional, they can surely make use of your knowledge. If you are a student or family member in need of help with the FAFSA, this is great resource for some personal one-on-one assistance. You can click here to find out when and where the next College Goal Sunday event is taking place in your area! If you plan on going to College Goal Sunday to receive help with your FAFSA, please plan on bringing the following items to help speed up the process and ensure proper completion of your FAFSA application. tax return for Puerto Rico, Guam, American Samoa, the U.S. Virgin Islands, the Marshall Islands, the Federated States of Micronesia. Documentation that you are a U.S. permanent resident or other eligible non-citizen. I did a newspaper story talking to College Goal Sunday participants in 2007. By that time, I had already muddled through my first year of filing for financial aid on behalf of my daughter and I could see that hands-on help at this program was very helpful for the rookie parents and students. You may still have to file CSS Profile on your own – which is a far more complicated form than FAFSA – but some of the FAFSA data can then just be copied over to Profile. I highly recommend parents and students who are working with these applications for the first time attend a College Goal Sunday event.